Hey guys! Guess what? I’ve been nominated for another award!!! This time it is the Versatile Blogger Award because just like my natural hair I “ooze versatility”. See what I did there? Well anyways I was nominated by the lovely, and I mean LOVELY (like a bouquet of flowers) Michelle. Thank you so much for nominating me because things like this really makes me feel better about blogging. I met her on Twitter and she’s one of those friends that you don’t know in person but she’ll always support your work. Just like an invisible cheerleader behind a camera - cheering you on and pushing you to slay every picture. My two favorite posts from her blog are 5 Skills to Master Before Moving Out and her Basic French Macaron Recipe and I’m pretty sure you guys will love them too. So to check them out! 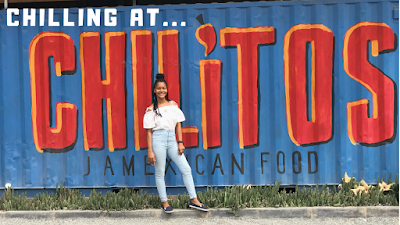 If you’ve been with me since the beginning you’ve probably read my 12 Random Facts About Me post ( if not check it out right here). Well the Versatile Blogger Award is similar to this but it’s 7 random facts instead. It’s like the universe is forcing me to learn about myself with these posts and I don’t like it. 1. Say thank you to the person that nominated you. 3. List seven facts about yourself. 4. 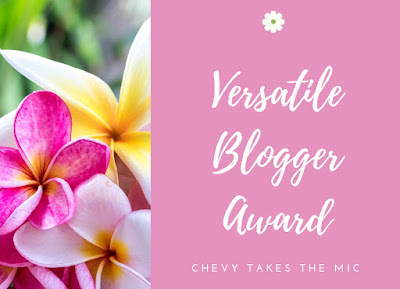 Nominated 15 other bloggers for the Versatile Blogger Award. So seeing as I already did a random facts post I’ve decided to switch it up a bit - not too much, just some tweaking. This time I’ll be listing 7 things no one knows about me. These are things you wouldn’t even guess about me unless you either lived with me or we’re joined by the hips (like my little sister). 1. Liebster Award - I've Been Nominated! I bite bread. After years of doing this I finally realized that I unconsciously bite a piece of bread before I use it. Every time I remove a slice or slices from the bread bag I stick them in my mouth so that I can re-tie the bag. While I have them in my mouth I guess my instincts kick in and I automatically bite of a piece. Then I use the rest for my sandwich. But basically all my sandwiches have a random bite mark on the side. I'm a game addict. I have about 10 different games on my phone and whenever I’m bored I start playing them. I pick one to start with and whenever my lives run out I move on to the next one. By the time I get to the tenth game the lives from the first one a refilled. And I just keep going in a loop. But I only ever do this when I’m absolutely bored like on my way to school or in a boring class. I eat cold food way too often. I’m not talking about the regular cold pizza or ice cream. I’m talking curried chicken, stewed chicken, rice, beef, mutton you name it. This is all because of my laziness as once I’m hungry I’ll rather eat the cold food than to plug up the microwave, wait til it’s done and unplug the microwave before I can eat. Now that I think about it, this might be the reason why I have stomach issues. I chew on the left side of my mouth. When I was younger I had a cavity on the left side of my mouth and to avoid the pain I ate on the right side. Later on I got a cavity on the right side so I went to get them filled/fixed. Everything was fine but now my wisdom tooth is growing on the right side and it’s almost always sensitive so until it’s done growing I’ll be chewing on the left. I’m a binger. Whether it’s movies, k-dramas, books or a tv series once I’ve started it I’m binging it. I have to see what happens next or I’ll die and most times (all the time) it ends with me finishing the entire thing in a day. Depending on how long it is and if I have food, drinks and a bathroom nearby. But I’m serious once I get in the zone there’s no stopping me, I might not even know what’s going on around me. This one’s kind of gross but whenever I go to bed without brushing my teeth I dream about all my teeth falling out. I’m kind of paranoid in real life - might be my Jamaicaness - and I guess my paranoia followed me into my dreams. What happens is I start off my night perfectly fine, my dreams are normal and then boom my teeth start falling out for no reason. Then I jump up out of bed and run to the bathroom to brush me teeth. This has been happening for years so at this point I’m scared of going to bed without brushing my teeth. I dance in the shower. So everyone has this habit of singing loudly and proudly in the shower thinking they’re performing in front of a live audience and they’re hitting EVERY note. My little sister does this every day twice a day; but not me. I show my skills through dancing. I mean I’m wining my waist, twerking and bussing some moves that will never see a dance floor. But the good thing is I’m getting a workout while I shower. Go check out their blogs and make them feel loved! Leave a fun/random fact about yourself in the comments below. Thanks for reading! If you enjoyed this post be sure to click the share button. Thank you SO much for the nomination! Linked back to you in my latest post. Sending you tons of appreciation and love from California. LOL, your bad dreams are making me laugh, because I threaten my kids with this. Someone probably did that to you when you were little and resistant to brushing! I hope I haven't damaged them for life. You crack me up, thanks for the sweet thank you. And p.s. I LOVE your hair!!! 😂😂 you need to bust them dance moves out the shower one day! Fun read! And the game part is so true, you're always playing a game. Dancing in the shower sounds a bit dangerous XD. But I'm curious what K-drama are you watching now?